It’s that time again: #KappySpotlight time, where I talk about badges/items/partners/etc… that are generally seen as “bad” and not used very often by challenge runners. I dive deeper into why they’re perceived the way they are with some cool strategies centered around them mixed in! Today, I’ll be covering my first badge in 64, and probably the worst Jump badge of them all in said game — MEGA JUMP!! Move: Deals Jump (3+3) + 4 damage to a single enemy. Mega Jump is one of the last badges you get in Paper Mario 64. You get it in Chapter 7, and while it has the “Jump is a Hammer” property of Power Jump and an added 2 damage compared to that badge, it costs triple the FP of Power Jump and triple the BP. Triple the FP and BP for +2 damage? Yeah, it’s easy to see why challenge runners don’t really use the move often. And by the time you get it, you’ve got basically every option that outclasses it. When you can just Power Bounce (or even Power Jump! ), it’s tough to compete, especially when the other two are just so much more FP efficient. However, if you’ve got a lot of FP to spare, you can make some use of that extra damage. This is actually a pretty cool strat, but look at how much FP you need! Crystal King has 70 HP, 6 ATK, and 2 DEF. Despite these actually pretty good stats, he’s a huge pushover with easy-to-abuse AI, meaning we can destroy him with Mega Jump provided we have the FP. This strategy also nicely showcases the power of Peril combined with Last Stand in 64. The goal of this strategy was to get rid of the RNG that Crystal King has for healing with Mega Jump and Electro Dash. Let’s start with the setup. Turns 1 & 2, we just Mega Jump and Electro Dash for 15 damage per turn. At base, Mega Jump deals 10 damage. With Crystal King’s DEF, we’re at 8, so we equip a Power Plus and All or Nothing to get that back up to 10. Now, Crystal King uses Bit Spit if he has Ice Bits on the field, which he does Turn 1. We take 4 damage each from those without guarding. With guarding, we take 1. So, we get hit by one then Guard two of them for (4+1+1) damage to be at 9 HP. Turn 2, Crystal King will summon Ice Bits. Turn 3, we set up Mario with Turbo Charge so that Mario will be dealing 15 damage instead of 14 damage in Peril. Mario does nothing to ensure Crystal King doesn’t try to heal just yet. He’ll use the Ice Bit Spit attack. We don’t guard any attacks, putting Mario at 5 HP with the first Ice Bit. Now that Mario’s at 5 HP, Last Stand kicks in, which means the other two Ice Bit attacks deal 2 damage instead of 4. With those two 2 damage attacks, Mario’s gone from 9 HP to 1 HP, putting us in Peril.Turn 4, we begin our manipulation and continue on this path until Crystal King is KO’d. On Turn 4, Crystal King is triggered to use Ice Beam. If he heals, we just Mega Jump and Electro Dash again Turn 5, and if he heals again after that, we Mega Jump and Electro Dash Turn 6, then take the guaranteed Ice Beam and do it again. Turn 7, Turbo Charge wears off, so we Jump and Do Nothing. At this point, Crystal King can either Ice Beam or create 3 clones. To circumvent the cloning, we use a Shooting Star to guarantee he gets hit and is KO’d. if he uses Ice Beam earlier, then we KO him earlier. Perfect damage and a lot of Mega Jump — nice! If you wanted, you could have 45 FP and not need a Flower Saver. I just liked being able to fit in 30 BP perfectly if HP Plus is used. Now, there are a couple other places you can use Mega Jump, and that’s against Hallway Bowser and Final Bowser. Given that both can get rid of Water Block/Cloud Nine/Turbo Charge, as well as having an extremely punishing 3-cap most of the time for Power Bounce, you can get around the same damage over time with Mega Jump, even if you’re Power Bouncing in Peril, especially since it can be hard to maintain if you’re not great at Guarding Bowser’s attacks. Other than that, I see no reason to try and use this in normal battles., It’s likely overkill and just a waste of FP. All in all, Mega Jump comes way too late to really be useful, but try it out next time you’re fighting Final Bowser! You might be surprised. As always, feel free to use the strategy I made or adapt it into something yourself! I’ll be doing a vote for my next spotlight, so please be sure to follow me on Twitter or join my Discord server to get notified when I ask for suggestions!! It’s that time again: #KappySpotlight time, where I talk about badges/items/partners/etc… that are generally seen as “bad” and not used very often by challenge runners. I dive deeper into why they’re perceived the way they are with some cool strategies centered around them mixed in! Today, I’ll be covering a badge that’s simply…smashing — HAMMERMAN! Effect: Increases all damage Mario deals with his Hammer by 1 at the cost of his Jump actions. This badge suffers from its namesake — hammers. Hammers are generally inferior to Jumping once you start to buff Mario’s ATK. With great move badges like Multibounce and Power Bounce, combined with the support badges Spike Shield and Ice Power, Mario is able to deal damage to all non-ceiling enemies, and with enough ATK-increasing badges, he can wipe out normal battles and boss battles in 1-3 turns. Hammers, on the other hand, are less effective. The biggest drawback is that you can’t hit anywhere but the front without Hammer Throw, and Quake Hammer and Fire Drive can’t hit aerial enemies. Hammer’s biggest positive is that it has higher base damage, so whereas a Jump may not deal damage to a high-DEF enemy, Hammer can. Unfortunately, as said before: increasing ATK only helps Jump more and more, and since you get Power Bounce and badges like PowerRush/Mega Rush so early, it’s tough to compete with Jump when challenge runners are great at manipulating Mario’s HP to get into Danger/Peril quickly. Hammerman is a little different than move badges like Power Smash or Fire Drive because it gets rid of Jumping entirely, meaning Hammer is your only option. Now, this isn’t really great, but partners are so versatile that if you wanted to run a Hammer-centric build, you could quite easily and still be an effective fighter, and the 2 BP isn’t bad for a flat increase to damage. Let’s look at a couple places where Hammerman can be put to very good use! The Moon in Chapter 7 houses an enemy that Jump quite literally cannot compete with unless Mario’s in Peril/Danger. Moon Clefts have 5 DEF. An insane amount, to be sure. At this point, you’ve probably got Jumpman and 2 Power Plus badges equipped. Well, that’s 6 ATK for your Jump…and 1 damage to Moon Clefts. You’d need to be in Danger to KO them with a normal Jump, and in Peril to KO them with Multibounce. With Hammerman, you don’t need any of this. In fact, from the get-go you can KO them all with Quake Hammer. Quake Hammer’s base ATK is 2. With 2 Power Plus badges and Hammerman, it’s at 5. Throw on P-Up D-Down and you’ve got an easy way to KO Moon Clefts with no effort. Throw on Flower Finder/Flower Savers and you can literally win every battle on the Moon (besides the ones with Z-Yux…but your partners can deal with those guys) without batting an eye. Bonus points go to Hammer Throw having an ATK of 10 at this point and being able to easily KO Z-Yux as well. You might be thinking, “Wow, the later half of the Pit, Kappy? How is Hammer really good there?” Well, let’s take a look at the enemy list for these floors. Fire Drive Damage: Base (5) + Power Plus badges (2) + Hammerman (1) + All or Nothing (1) + Power Rush (2) + Mega Rush (5) = 16 piercing damage (decreasing with each hit). Quake Hammer Damage: Base (2) + Power Plus badges (2) + Hammerman (1) + All or Nothing (1) + Power Rush (2) + Mega Rush (5) = 13 piercing damage. Hammer Throw Damage: Base (6) + Power Plus badges (2) + Hammerman (1) + All or Nothing (1) + Power Rush (2) + Mega Rush (5) = 17 damage. Power Smash Damage: Base (8) + Power Plus badges (2) + Hammerman (1) + All or Nothing (1) + Power Rush (2) + Mega Rush (5) = 19 damage. That’s actually quite a bit of damage. You can KO a loadout of 4 Badge Bandits (12 HP), Chain Chomps (7 HP), Red Chomps (5 HP), Dry Bones (8 HP), Ice Puffs (provided they’re ground | 9 HP), Frost Piranhas (10 HP)…I think you get it. With the combined might of Fire Drive + Quake Hammer, you can lay waste to quite a few enemy loadouts. You can even KO 5 Spunias (12 HP) with Fire Drive after the last one takes Burn damage or is superguarded. That’s crazy. With this much damage on Fire Drive, you can even KO 5 Elite Wizzerds (12 HP) in one turn and they won’t even attack you! Quake Hammer’s utility is more for piercing through Chomps, Clefts, and the Dark Bristles, while simultaneously being able to KO lower HP enemies like Badge Bandits or Frost Piranhas for less FP. Fire Drive is used to take out bigger HP enemies like Arantulas, Dark Koopatrols (after you flip them with Quake Hammer), and all Wizzerd variants (since Quake Hammer can’t hit them). You can OHKO Airborne Puff variants and Arantulas with Hammer Throw, and do enough damage to a Swampire that your partner can finish them off easily. You can even use Hammer Throw or Fire Drive to set up for easy Amazy Dayzee KOs. Power Smash…well, it doesn’t have a lot of use for all the normal battles since your normal Hammer also deals 17 damage and can OHKO basically anything you attack besides Swampires and Amazy Dayzees (even Elite Wizzerds are taken out with one Hammer), but you can use it against Bonetail to deal 17 damage for less FP than Fire Drive. And whatever you don’t finish off or can’t, you can with partners, especially at Ultra Rank! Obviously, this isn’t optimal compared to the Multibounce method for two core reasons: 1) Hazards. A lot of these attacks are slightly more prone to causing hazards to happen. If you don’t have DEF, you could cost yourself Mario’s life if he gets hit by a falling stage light, the fire crackers, etc… especially when utilizing Peril. 2) Enemy layout. Some enemy layouts are cruel to hammers, with some switching off between an aerial enemy and a grounded enemy and others starting with all enemies you want to be grounded airborne, etc… this can be especially bad with Puffs, who randomly decide to be grounded or airborne at the beginning of battle. Sometimes, you won’t be able to KO all enemies with Hammer and your partner in one turn. These can be mitigated with Life Shrooms and other support items, and that’s where the strategy becomes unoptimal. With Multibounce, you really don’t need to worry about enemy placement; just Multibounce away with easy partner cleanup (or use Rally Wink). Okay, let’s do at least one boss strategy with Hammers! T4: Power Smash [KO]This strategy revolves around Power Smash with Hammerman providing just enough ATK to give Mario 6 damage with it, which is reduced to 5 with Magnus Von Grapple’s 1 DEF. Magnus Von Grapple always Stomps Turn 1, then is triggered into summoning his X-Fists at Turn 2. We get him to his trigger Turn 1, then Goombella uses a Honey Syrup so Mario can continue Power Smashing Turn 2. Turn 3, Goombella uses a Mistake to put Mario at 2 FP so he can finish off the fight Turn 4. On Turn 3, Mario takes 3 attacks — two from the X-Fists and a Quake attack. The attacks do 4, 4, and 2 respectively. Luckily for us, Mario can get himself into Peril whether he was attacked Turn 1. Depending on how many attacks Mario guards, he can take 7, 8, or 9 damage. Because Magnus Von Grapple’s Stomp does 2 damage, we have a way to get into Peril if we’re at 8, 9, or 10 HP. Easy. Turn 4, we finish up with a Mega Rush boosted Power Smash to win the fight. It’s a nifty little strat, and I actually really like it. You could upgrade FP once or equip FP Plus so you don’t need to use items, but to be honest, it means your partner is kinda just sitting there since if they keep attacking, you can just end him before Mario goes into Peril. This strat is about Hammerman, so we want to finish with a hammer move! And that’s it! The thing about Hammerman is that you’re not going to build a strat around it as a move like with Power Smash — it’s just a supplement to Mario’s damage, but forcing you to only use Hammer options can help you see Hammer’s strengths and weaknesses. I recommend trying it out and seeing what you come up with! As usual, feel free to use these strats or modify them for when you next play! I always say this on my streams: there’s something special and extremely satisfying seeing a strat on paper come to life in the game. I want to do something from Paper Mario 64 next time, so let me know in the comments and on social media what you’d like to see! I’ll put up a poll later this week with the answers I get. 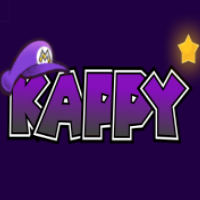 It’s time for another #KappySpotlight, where I talk about badges/items/partners/etc… that are generally seen as “bad” and not used very often by challenge runners. I dive deeper into why they’re perceived the way they are with some cool strategies centered around them mixed in! Today, I to dive into the world of items with an item that is almost never used in challenge running Paper Mario: TTYD — MR. SOFTENER! You’ll notice that there’s no Glitz Pit Rank on there. At this time, the Glitz Pit has not rated items for TTYD or 64 (although that might change in the future…). However, I can assure you that Mr. Softener is not perceived well. Soft as a status is largely not very useful because Mario and his partners already deal obscene amounts of damage, and items and special moves can pierce that DEF with ease. It also only works on enemies that actually have DEF. If a 0 DEF enemy is inflicted with Soft, it doesn’t become -3 DEF. A missed opportunity, really. For the record, Soft Stomp, the badge that can inflict Soft, is E+ tier — in other words, it’s not great. So, with a high number of enemies (even in the end game) not having DEF, you’re not really going to be seeing use out of Mr. Softener when you could easily fit in something else. However, there are a few places where it could be used to some cool effect. To the Pit of 100 Trials! Elite Wizzerds are a feared enemy in the Pit of 100 Trials, and for good reason! They have what looks like a measly 12 HP, but back it up with 8 ATK and 5 DEF. Yeah, 5. It’s pretty hard to deal damage to them, but Mr. Softener comes in to help! Elite Wizzerds are actually pretty susceptible to Soft — it’s an 80% chance to successfully inflict the status on them. Do a little more math and we find that using two Mr. Softeners results in an 84%* chance that 4 of them will be inflicted with Soft. Now, due to the different times, you can encounter these guys based on when you enter the Pit, there are a few ways we can utilize this. NOTE: While there are 5 of them on the field, we’ll only be attempting to inflict the status on 4. This is because when there is one Elite Wizzerd left, it will always spawn clones. If you hit it and cause the clones to disappear, it will infinitely loop through it until you either don’t hit it, or it’s KO’d. Let’s try a few variations! These strats are all for common Pit challenges, but they’re anything but common. While RNG can sometimes cause you to really not have the proper resources, most of the time a situation calling for Mr. Softeners is rare. However, these are pretty cool ways to defeat the dreaded 5 EW loadout, and it’s all done with Super Rank Koops (normally, challenge runners will use Goombella in the 90’s due to the many aerial enemies that appear). So, let’s break all of these down. Koops at Super Rank does 3 with Power Shell, 8 with Mega Rush P. That’s 3 damage to Elite Wizzerds since they have 5 DEF. If they’re inflicted with Soft, they only have 2 DEF, bringing the damage Koops deals with Power Shell to 6. At that point, we just find the right item or attack to finish them off while Power Shell deals that 6 damage. For BP Only, a Shooting Star is required due to the 5 FP limit. The Vanilla one is pretty cool, but assumes you don’t have any Shooting Stars or Thunder Rages. The Disabled Pre-Chapter 2 Pit one could actually be done with just two Power Shells without Soft, but it’s still pretty cool. Okay, we’ve got some early-game Pit strats for this loadout. Let’s try some end-game stuff with the same loadout! While the first strat is a cool way to utilize Danger Yoshi with one extra Power Rush P from the Pianta Parlor, the other two actually make use of inflicting Soft on all 5 Elite Wizzerds. The chance of 3 Mr. Softeners inflicting Soft on 4 Elite Wizzerds is 96%*, which is actually really solid. Adding one extra enemy to that makes it… 96%. Yeah, 3 Mr. Softeners offers a pretty high chance of inflicting Soft on these guys. So, with all 5 inflicted, we can utilize Quick Change to swap out to an already Peril’d Yoshi and Bobbery to deal exactly 12 damage with Stampede and Bob-ombast respectively. I actually really like these two strategies, especially since we’re making use of Bobbery in one of them. I want to cover one other enemy in the Pit that Mr. Softener can be put to good use for. Moon Clefts are 100% susceptible to Soft, so using one results in all 4 being afflicted with it. This allows you to OHKO with Peril Koops in a Pre-Hooktail Pit instead of letting the Moon Clefts have an extra turn to attack. This is a great loadout to use a Mr. Softener on because you can save your other attacking items for the later floors where they count more, and a Mr. Softener is actually quite useful here because Fire Drive doesn’t work on Clefts. Pretty nice that you can get rid of a Wizzerd’s DEF entirely with Soft, huh? Since we’re covering an item that inflicts status, I want to point out that utilizing an item like Mr. Softener has an inherent flaw; like I say in the beginning of every post, I try to give these lesser used items and other things time to shine, but Mr. Softener is very difficult to use in pre-planned strats. Why? Because even with 3 used, they can still fail if an enemy isn’t 100% susceptible to it, and if they fail, the entire strat gets shot, forcing you to think on the fly and putting you in a potentially horrible position. So, what can you use Mr. Softener for that’s not pre-planned? You could use it to stop Macho Grubba’s DEF+ buff (90% chance to inflict Soft with 1 Mr. Softener) when he uses that. You could use it against Magnus Von Grapple 2.0 (80% chance to inflict Soft with 1 Mr. Softener), any of the above enemies I listed in a pinch, or Bowser (also 80% chance) to deal a little more damage. But let me be frank — most are all still determined (even if only slightly) by RNG. When you use items like Mr. Softener, you always want to prepare for the case where it doesn’t work. And that causes them to inherently be unoptimal. For example, against Magnus Von Grapple 2.0 you could just use a Power Punch to negate the DEF he has, and it’s 100% guaranteed to work. What I’m trying to ultimately say is that Mr. Softener and other items that inflict status are a special case. Sometimes, it’s the right call; sometimes, it’s a really bad call; and sometimes, it’s the only way you can get out of a potentially bad situation. If we go back to the 5 Elite Wizzerds. You might be at a spot in the battle where, if that Mr. Softener hit 2 of the 3 left, you can KO them both and safely stall your way back to a good place so you can finish off the last one and go into the next fight looking good, or it allows you to KO them with your non-Peril partner out in the case of Pre-Hooktail, allowing you to level up safely. It’s really unlikely, but part of what makes a great Paper Mario player is realizing that even items with a chance of failing can be the right option. In Mr. Softener’s case, you’re not going to find that spot very often. That’s it for today’s spotlight. What do you think of Mr. Softener and the Soft status? Do you like to use it against enemies with DEF, or do you prefer just stomping through with piercing moves and huge ATK? Despite my giant wall of text explaining why items like Mr. Softener aren’t great, I had fun coming up with these strategies, and there’s something to be said about the math and probability that goes into combat for Paper Mario: TTYD. Maybe now you’ll see a situation where Mr. Softener was the correct play to make mid-battle. Let me know! *EDIT: Thanks to Jdaster64 (I’ve referenced him before; go check out his site! I get a lot of information from his stuff!) for pointing out the inaccuracy in my probability math. It’s actually a much better 98.5% to inflict Soft on 4 of 5 Elite Wizzerds with 2 Mr. Softeners and basically 100% on 4 of 5 Elite Wizzerds with 3. It’s time for another #KappySpotlight, where I talk about badges/items/partners/etc… that are generally seen as “bad” and not used very often by challenge runners. I dive deeper into why they’re perceived the way they are with some cool strategies centered around them mixed in! Today I’ll be covering one of Mario’s Special Moves in Paper Mario: TTYD — SUPERNOVA! Glitz Pit Rank: 8th (of 8 Special Moves)Supernova, as you can see, was rated the worst of all of Mario’s Special moves. This is largely in part due to Art Attack costing 2 less SP and has the ability to deal more than 15 damage to a group of enemies. With max SP, you can fire off two Art Attacks before running out, which is pretty crazy considering the damage you can deal, so Supernova gets overshadowed really hard. It’s also the last Special Move you get in TTYD, making it a pretty mediocre reward for completing Chapter 7 when you’ve probably been KO’ing enemies left and right with Art Attack anyway. However, in runs where you’re limited in badges, Supernova can make for a nice way to deal massive damage to large bosses in Chapter 8 (Gloomtail and Shadow Queen are the only ones that come to mind), although you’re usually better off using Power Lift.Unlike some of the worst badges in TTYD, Supernova does have a niche use despite being so heavily out-classed by Art Attack. That niche use…is in Level Zero Pit. Art Attack struggles in two areas — hitting all enemies if they’re not in a straight line, or if there are 5 enemies on the field. Both limit Art Attack’s damage output. Many players have struggled to deal 12 damage to all 5 Elite Wizzerds with Art Attack, and if you have a combo of enemies in the air and on the ground, your circle has to be much bigger to deal 3 damage to all enemies consistently. So, let’s see where Supernova can be used well! This is one of the only times where Supernova is better over Art Attack, and it’s because of the consistency of 15 damage no matter what. This strategy is pretty simple and is a staple in Level Zero Pit runs. You Ultra Hammer First Strike to deal damage to all enemies, then Supernova Turn 1 to KO both the Swampire and Elite Wizzerd, and Gulp to KO the Amazy Dayzees. In Level Zero, you don’t level up partners, so Yoshi only deals 4 damage with Gulp. It results in basically 100 Star Points, so you get a free Level Up utilizing this combo. Supernova is chosen over Art Attack because it’s very much possible to not deal enough damage to both Amazy Dayzees to KO them with Gulp while also KO’ing the Elite Wizzerd and Swampire with Art Attack. This and 5 Elite Elite Wizzerds are two prime examples of Supernova being a great option, but like I said earlier, it’s pretty unoptimal everywhere else. Still, let’s try fitting it into a couple boss strategies! This is just a slight variation of a common strategy utilizing Goombella as a powerhouse, but we fit in Supernova to save ourselves items, FP, and BP! Gloomtail has 80 HP and 2 DEF, so we need a lot of ATK to bring him down quickly. Ultra Rank Goombella has a base ATK of 3, so – Glooomtail’s 2 DEF is 1. We add 3 from two Power Plus P badges and P-Up D-Down P, then add in a Charge and Power Punch T1 for +4 ATK. Now Goombella’s as 8, but we Double Dipped, so we’re at 1 FP, so it’s an easy Point Swap to Goombella, adding +7 ATK with Mega Rush P and Power Rush P. I thought I’d fit in a strategy that utilizes superguarding, so we do all the prep Turn 1, which requires a superguard (or some luck with a Close Call P) to preserve Goombella’s peril status into Turn 2. Because the strategy is only two turns, it’s not terrible to require a superguard — it’s an easy reset and the save block is right next to the room Gloomtail is in. Onto Turn 2. With a 6-cap, Goombella brings down Gloomtail to 5 HP with 15 + 14 + 13 + 12 + 11 + 10 = 75 damage, but we’re using Supernova, so let’s cut it off at 5 bonks and subtract the 10 damage bonk to bring the damage down to 65 and Gloomtail down to 15 HP left for a nice clean Supernova KO. Nice! We could’ve used a Thunder Bolt with 6 bonks, but we’re cutting down items used by KO’ing with Supernova instead, and we have enough ATK for a clean 65 damage with Multibonk. Time to use Triple Dip against Grodus! This strat uses NO DANGER OR PERIL; awesome, since we’ve been abusing it a lot lately. As I mentioned in my Tornado Jump spotlight, Grodus has 1 DEF naturally and +1 DEF for every Grodus X on the field. We’ll be using Supernova for that since it pierces DEF. Turn 1 is the setup. We use Earth Tremor to save on an item to take out all the Grodus Xs. We then Triple Dip a Power Punch, Spicy Pasta, and Hot Sauce on Goombella for +4 ATK. With that, two Power Plus P badges, and P-Up D-Down P, Goombella is sitting at 10 ATK, 9 against Grodus’s 1 DEF. Grodus uses lightning and deals damage, but that doesn’t really matter here. He summons two Grodus Xs. Turn 2, we destroy him. Supernova takes care of the Grodus Xs while also dealing damage to Grodus, putting him at 35 HP. With only 1 DEF now, Goombella will start at 9 with Multibonk, with a 5-cap, Multibonk deals 9 + 8 + 7 + 6 + 5 = 35 damage, just enough to deal perfect damage to Grodus and KO him! We also achieved perfect SP use with Earth Tremor and Supernova = 8 total SP used, and we have 8 SP max. And there you have it. Supernova is actually a pretty fun move to use, and it feels great to see “15” flash above all enemies on the field. While Art Attack basically renders it obsolete in most situations, there are a few times where it is actually the optimal choice, and it can still be worked into some cool strategies. I don’t strategize often with special moves as a way of dealing damage, so this was actually really fun to do! As always, feel free to utilize these strategies or modify them when playing yourself! Maybe you’ll find another cool way to use Supernova. That’s it for this spotlight. Next time I’ll be doing an item from TTYD and asking for that item from readers like you on Twitter! Make sure to follow me there so you can voice what item you’d like me to cover! Miccat87 — After a recent 10 HP PHP NMRP completion and continuing to work towards other things like BP Only PHP and his current runs, I see fit for him to join the Elite ranks of TTYD players. Miccat is another player who leans more towards the strategy side of things. Grassdigger — I know this guy started No Damage during last list’s time period, but stopped really early so I didn’t bother putting him on. However, the guy’s impressive display so far in the puzzle challenges on the Glitz Pit are more than enough to get him up here. I don’t think I can really push him further (maybe a +?) until I see some solid game play and a run or two, but the kid’s smart when it comes to strategy in TTYD. Nothing but impressive so far. Jon — Jon’s moving up to Great tier after having decided to complete multiple submissions from the Community Challenges on the Glitz Pit and doing all of them. He’s pretty good, and it’s impressive that he completed so many unique challenges in 64. We’ll see if he climbs any higher. Miccat87 — After the recent community challenges and seeing promise in his new Even Turn run, it just made sense to move Miccat up to Great tier in 64. I’m excited to see if he catches up to TTYD and we have another Elite in the COMBINED section soon. Auron Nomcario — Auron’s back in the game with Season 2 of the puzzle challenges underway and new challenges being attempted. Will he stay in Good tier or jump up to Great? Time will tell. Slime — A new runner who jumped head first into Impossible Mode. Right now, he seems just alright. We’ll see how he fares as he continues the run (or if he gives up). Stylish+ — A new runner who recently completed PHP and PHP NMRP. If he keeps going he’ll easily make it into Great tier. ilikepieinmouth has become inactive. He’s still a God for those who may have panicked for a second when they didn’t see him up there. Lots of people here are close to becoming inactive. If there are no real big updates from them expect to see that list grow quite a bit next update. Hopefully, that doesn’t happen! While many have been continuing their runs, if it didn’t change their rank then I just didn’t see a need to update them this time around. I’d like to wait for them to be finished. Hopefully, that’s soon! Snowy has been removed from the inactive list. Snowy speedruns PHP and is damn good at them, but it’s a little out of place here. No offense to Snowy — I’m a fan of his, but I don’t see a reason to keep him inactive when he’s active but not challenge running. My journey for the one true GOAT status has finally begun. I am challenge running seriously once more!! Catch my Even Turn No Superguards (TTYD), Shufflizer BP Only (TTYD), and 10 HP Pacifist Mario (64) runs on Twitch or YouTube! And that’s it for this version of the tier list! I hope you all enjoyed reading my thoughts on this. If you’re interested in making it on this list, start challenge running (and if I missed you, let me know)! A great resource for challenge runners is the Glitz Pit, a Discord server dedicated to challenge running the Paper Mario series. You can also check out my Discord server.